Discover Panama at your pace with LiveWalkPTY's engaging audio walks! As you explore Panama’s streets, plazas and parks with LiveWalkPTY, you’ll hear from locals, relive historic events and get an inside look at the culture and idiosyncrasies of Panama. Our commitment is to share Panama’s history with you in the most entertaining way possible. 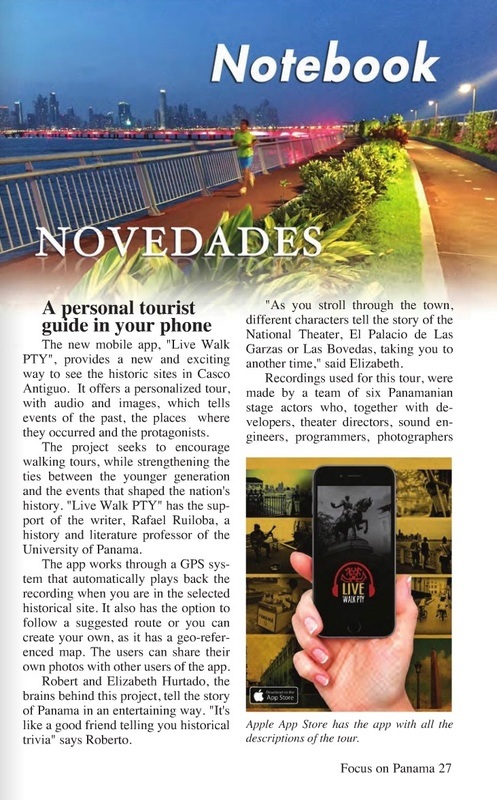 LiveWalkPTY is available in the Apple and Google Play Stores. 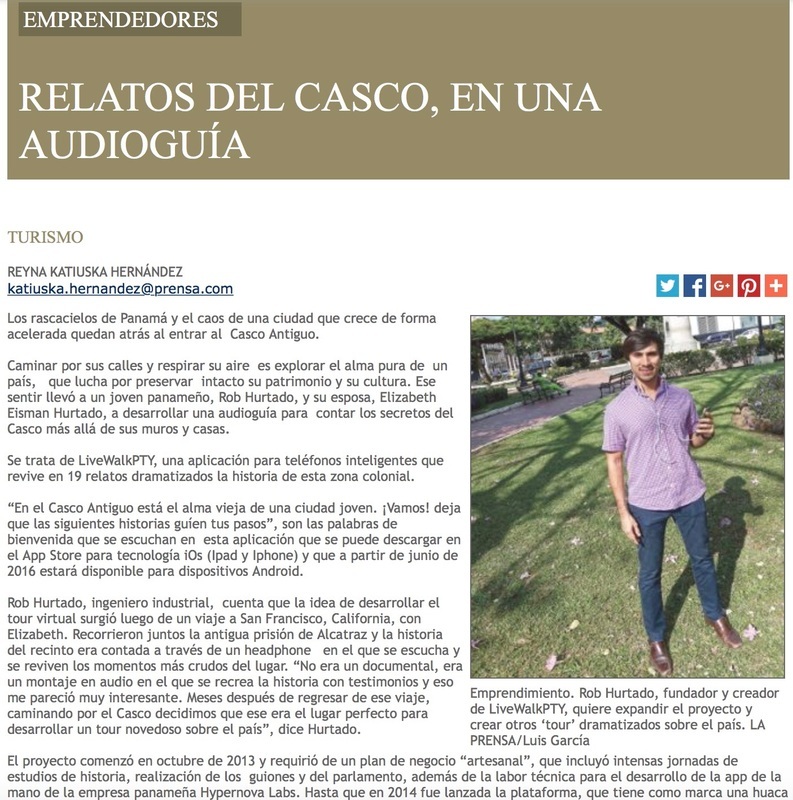 ​Roberto Hurtado (CEO & Co-Founder) was born and raised in Panama City and, as he says, has Panama written across his heart. In addition to knowing about half of the City's residents, he is an avid walker and endlessly curious to learn more about the history, legends and stories that abound in the country. Roberto holds a degree in Industrial Engineering from the Universidad Católica Santa María La Antigua as well as an MBA from the Universidad San Pablo-CEU. Elizabeth Eiseman Hurtado (CMO & Co-Founder) was born and raised in Scarsdale, New York. An avid traveler, she fell in love with Panama and a Panamanian during what she expected to be no more than a three month assignment in Panama City. Elizabeth holds a BA in History and Spanish from Wellesley College as well as a MA in International Relations from Johns Hopkins School of Advanced International Studies. Giovanni Scollo (Sound Engineer) is a Panamanian singer, song-writer and awesome sound engineer. All the "special effects" you'll hear during your LiveWalk come from Gio's Red Dino studio. 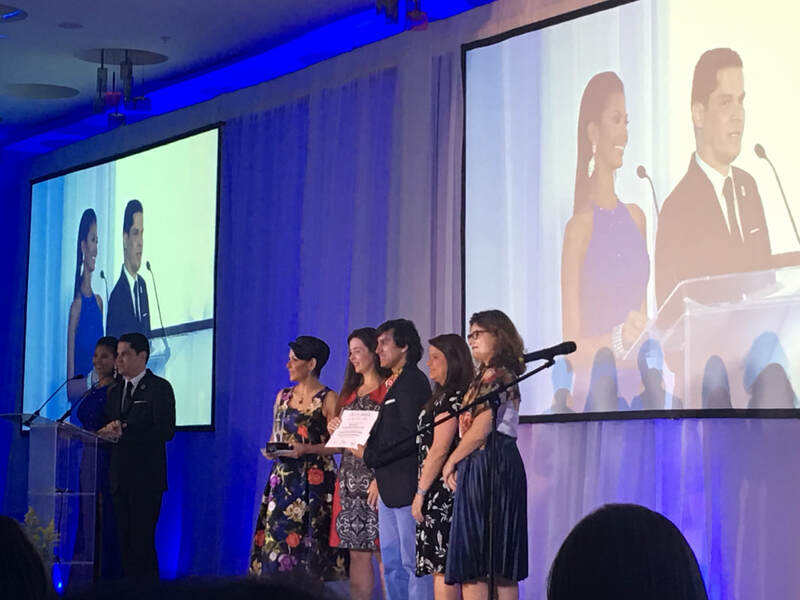 Máhnuee Trejos (Writer) is a Panamanian writer, social media guru and general 21st century renaissance man! He joined LiveWalk in 2017 and plays a lead role in scriptwriting and managing social media. Robert Cruz (Designer) is a Panamanian graphic designer who designed most of LiveWalkPTY's interface and countless LiveWalkPTY promotional items. To produce each LiveWalk, we work with a distinct group of Panamanian directors, writers, historians, photographers and actors. See the Tour Page for more details! Ready to start walking Panama?! 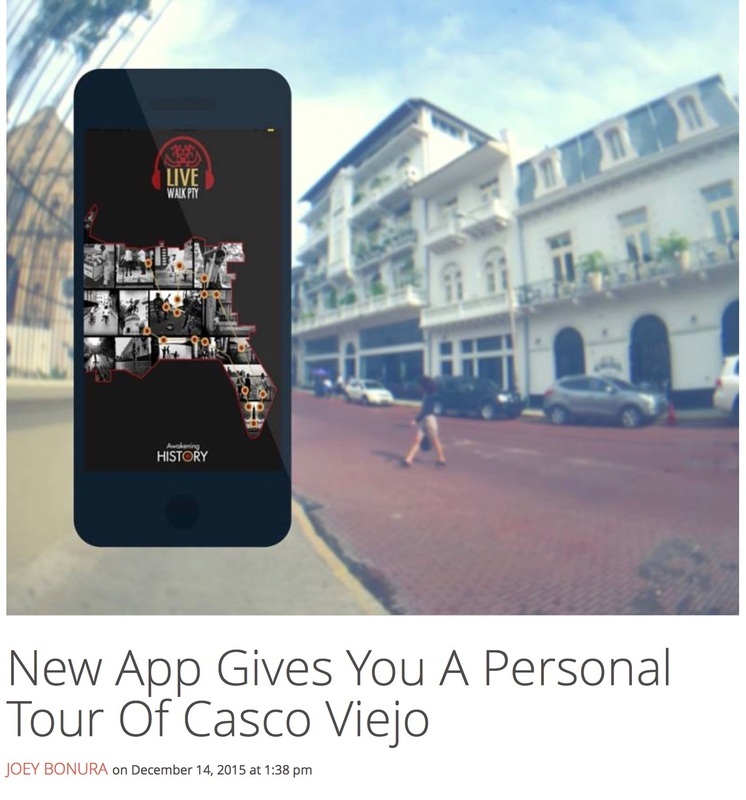 LiveWalkPTY’s logo has an image of a huaca at its center. Before the discovery of the Isthmus by the Spaniards in 1501, Native Panamanians made ceramic or gold huacas that represented the culture, flora and fauna of Panama. The huacas were buried with their owners at the moment of their deaths. Protected by the earth, many of the buried huacas survived the gold-focused pillaging of the Spaniards and are still being discovered in Panama to this day. Like the buried huacas, the history of Panama is hidden in books, newspapers, streets, buildings and people. 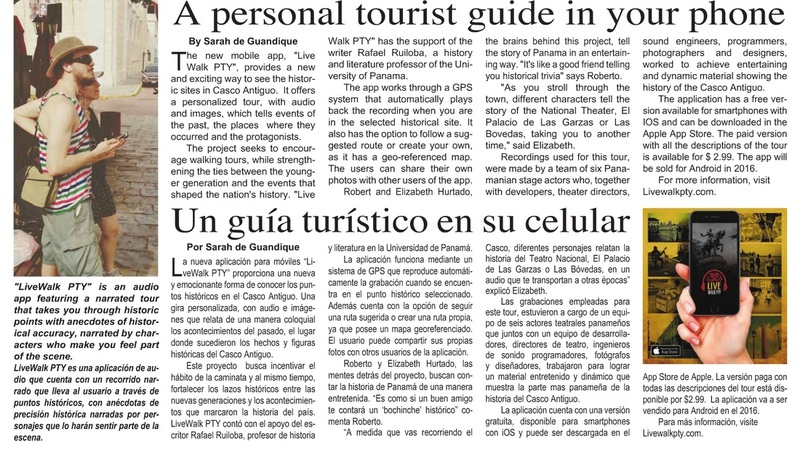 LiveWalkPTY looks to unearth Panama’s historic treasures, providing locals and travelers with entertaining and beautiful stories about the sites they visit. Panama: The Visitor, Vol. 21#42 October 2015. Follow us on Twitter, Facebook and Instagram @LiveWalkPTY for more news!